Our beautiful throws are designed and woven in Donegal, Ireland. The patterns and colours are inspired by the landscape that surrounds Donegal. 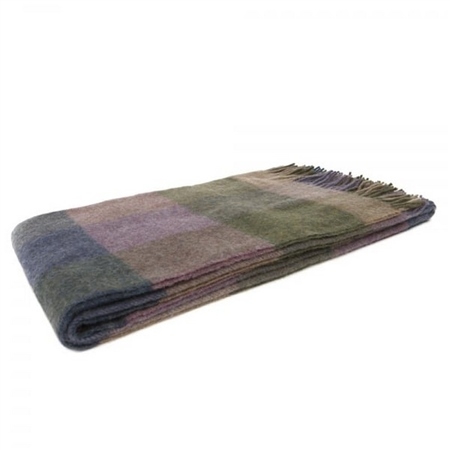 The Willow is a luxury alpaca and lambswool throw - an oversized patchwork design with pale purple, lovat green, camel and dark blue.